Cebu Landmasters Inc. (CLI) and Borromeo Brothers Estate Inc. celebrated the topping off of its latest high-rise project last March 6. 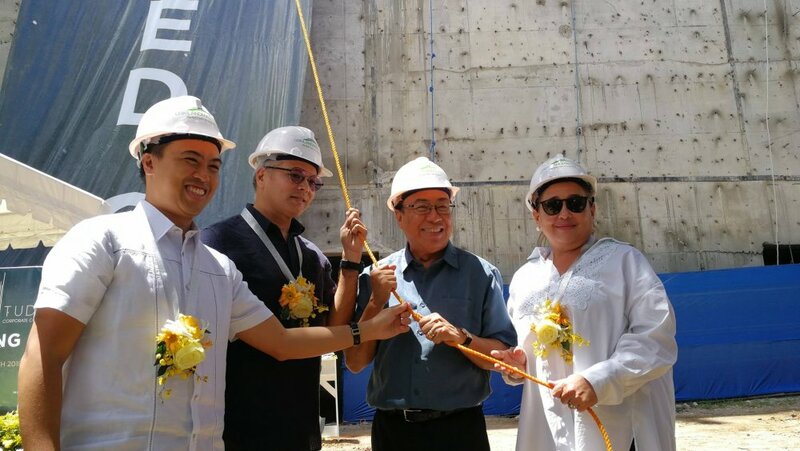 The Latitude Corporate Center is their first joint venture through BL BCP Ventures Inc.
CLI’s Chief Executive Officer Jose Soberano III and Chief Operating Officer Jose Franco Soberano led the topping off ceremony. Borromeo Brothers Estate Inc. President Bernadette Gallego and Managing Director Jose Daniel Borromeo also led the ceremony. CLI Chief Executive Officer Jose Soberano III announced that the expected turnover of units is in the fourth quarter of this year. The Latitude Corporate Center will be open for site visits in the second quarter of the year. This is for companies that are interested in leasing space, with 80% of it being leasable. It includes executive (small), enterprise (medium), and business process outsourcing (large) spaces. Retail spaces are also available on the ground and second floors. Borromeo Brothers Estate Inc. Managing Director Jose Daniel Borromeo stated that unit sizes range from 60 to 2,000 square meters. The Latitude Corporate Center is a 24-storey building. It is also an 83-unit corporate building. It is the first eco-friendly building in the Cebu Business Park. It has a Building for Ecologically Responsive Design Excellence (BERDE) certification. This is the country’s voluntary green building rating system developed by the Philippine Green Building Council. It has 20% green space. It has a plaza with a green sanctuary. On the 14th floor, it has a green sky lounge. On the 17th floor, it has a garden deck.